Posted June 19th, 2014 by ijan & category Backlash Defense. I write to provide a response to the false allegations made against me by the AMCHA Initiative in its latest escalation of the McCarthyist repression campaign to silence discussion of Palestinian rights on campus. Posted May 12th, 2014 by ijan & category Uncategorized. Posted December 7th, 2013 by ijan & category Uncategorized. A standing room only crowd of approximately 150 inOakland, California attended IJAN’s 5th anniversary celebration there to hearspokespeople from several grassroots organizations talk about theirunderstanding and experience of Joint Struggle. While Joint Struggle was thefocus of the meeting, the backdrop was lessons from the prisoner hunger strikesaround the world including in Palestine, Guantanamo Bay and the recently-suspendedprisoners’ hunger strike in California of some 30,000 inmates many of whom arein solitary confinement. As one speakernoted, with the California prisoner statement on ending racial hostilities,"they have organized us!" Sara Kershnar from IJAN said in the introductionthat Joint Struggle "reflects how we aim to organize and what our commitmentsare." Speaker after speaker made it clear that too often solidarity has beeneither lip-service or pity, not actually working on the basis that struggles ofothers for justice and self-determination are "inextricably linked" andintegral to our own, starting with prisoners around the globe. The groups who spokefrom the platform included the Palestinian Youth Movement, All of Us or None,the California Coalition of Women Prisoners, the Malcolm X Grassroots Movement,the Black Alliance for Just Immigration, the Haiti International SolidarityCommittee, and the Global Women’s Strike. It is important to point out that atleast two of the speakers were formerly incarcerated people themselves, whohave come out the other end, more determined than ever to tear down all thewalls that separate us. IJAN congratulates Studentsfor Justice in Palestine on an extremely successful context. We wereinspired by all of the incredible work that students across the US are doing. IJANwas honored to speak with the Palestinian Youth Movement and the Malcolm X GrassrootsMovement on the closing panel of the National Students for Justice in PalestineConference, "Beyond Solidarity with Palestine: The Case for Joint Struggle." The closing session was kicked off by a speaker from Movimiento Estudiantil Chicano de AztlánMEChA powerfully articulating themeaning of joint struggle through sharing its commitment to the struggle forPalestine in the context of its broader work. Nadia Barhoum and Mira Nabulsiof PYM, Sanyika Bryant of MXGM and Sara Kershnar of IJAN spoke to theimportance of organizing in support of Palestinian self-determination in acontext that builds the power of all of our movements to confront our sharedenemies. The well received panel featured a detailed discussion of what joint struggle is and is not and offered studentsand other organizers questions to ask themselves as they are doing their work. We look forward to working closely with student organizersin the future and left the conference heartened and inspired by the powerfulwork happening inside a climate of intimidation and the targeting of students. IJAN offers congratulations to the U.S. Campaign to End the Occupationon the new direction their 12th Annual National Organizers’ Conference inArlington, VA decided to take! The conference focused on Joint Strugglefor a free Palestine and was attended by more than 200 people representing 60member groups. A crucial plenary session entitled "JointStruggle Against Israel’s Role in Repression" included the speakersSara Kershnar of IJAN, Hatem Bazian of American Muslims for Palestine (AMP),Fahd Ahmed of Desis Rising up and Moving (DRUM), and Maria LaHood of Center forConstitutional Rights (CCR). The plenary was very well attended and laidout a clear and compelling case the stake that many movements and communitieshave in ending Zionism – understanding the central role Israel is playingglobally in the realms of surveillance and political repression, prisons andpolicing, militarized borders, detention and deportation. 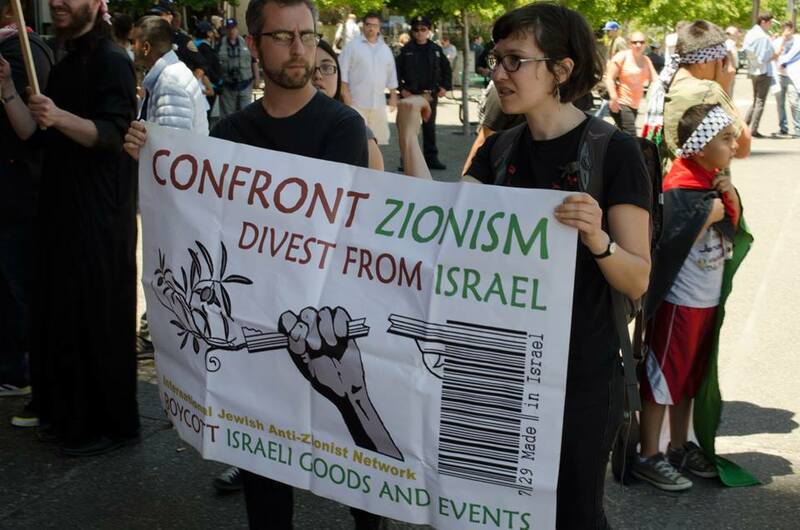 IJAN also presented two workshops – one onanti-Zionism and anti-Racism and another on the Stop the JNF campaign. IJANcongratulates the US Campaign on new board member Hatem Abudayyah from the USPalestinian Communities Network. Posted November 28th, 2013 by ijan & category Israel's Worldwide Role in Repression, Uncategorized. From October 25th-27th armsmanufacturers and police forces across the world gathered in the Bay Area toparticipate in Urban Shield, a48-hour training exercise (i.e. war games) and homeland security industry tradeshow. While the stated purpose of Urban Shield is disaster preparation, itsoutrageous scenarios promote expanded anti-Arab and anti-Muslim racism andincreased militarization of the police with the disproportionate impact that hason people of color in the United States. Joining in these exercises were policeforces and militaries engaged in extreme repression including Israel, Bahrainand Brazil among others. Urban Shield reflects the globalized nature ofpolicing and surveillance, and Israel’s important place in it as explained inthe IJAN pamphlet, "Israel’s Worldwide Role in Repression." IJAN participatedin the organizing of the FacingUrban Shield Action Network (FUSAN) as they confronted this collaborationbetween repressive police forces. Visit their page for a full media roundup ofthe actions. Posted November 5th, 2013 by ijan & category Backlash Defense, Uncategorized. TheInternational Jewish Anti-Zionist Network (IJAN) protests in the strongestpossible manner the arrest and detention of civil rights worker Rasmea YousefOdeh, on October 22, 2013, from her home in Chicago. Ms. Odeh, aPalestinian lawyer, arrived in the United States 20 years ago after sufferingbrutal arrest by the Israeli military for her work for Palestinian freedom andrights. Rasmea’s arrest led to years of unspeakable,inhumane, and illegal torture by Israeli prison authorities. Since her arrival,she has worked for the civil and human rights of Palestinians and Arabs. Since2004, she has worked with the Arab American Action Network (AAAN) as theAssociate Director. She also managed the Arab Women’s Committee of the AAAN andfought to defend women’s and immigrants’ rights. She recently won theOutstanding Community Leader’s Award from the Chicago Cultural Alliance. Ms. Odeh wascharged with an immigration violation, but we believe that this is an excuse toremove an effective human rights worker from the American society and instillfear in others who dare to work for human rights and equal rights forPalestinians. As with the Grand Jury subpoenas of the 23 Palestinian humanrights and anti-war activists in Minneapolis and Chicago in 2010, theinhumanely long prison sentence of the Holy Land 5, and the infiltration andtargeting of Muslim groups by FBI informants, the arrest of Ms. Odeh is meantto send a message to those who work for and believe in human rights for allpeople: the U.S. will not tolerate criticisms of its pro-Israeli policies andsupport. 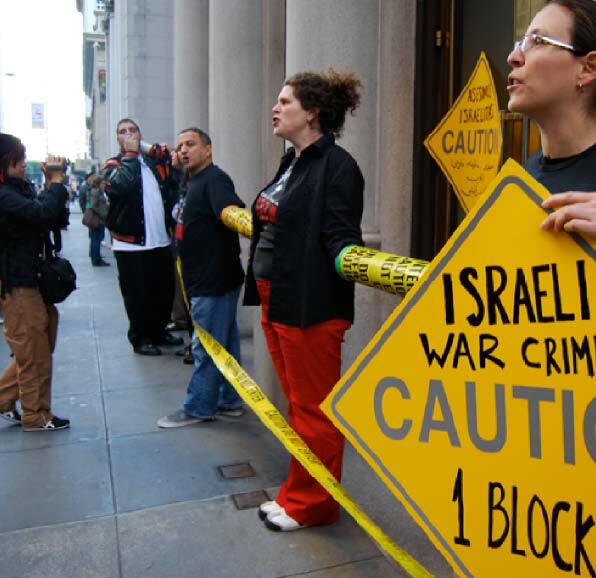 Thisreflects a long history of collaboration between the United States and Israeligovernment, military and police in repressing popular movements for justice andliberty and organizations that work on their behalf. Beyond the Palestineliberation movement, this includes the Black Liberation Movement, the SouthAfrican anti-apartheid struggle, the United Farm Workers, the Center forConstitutional Rights and countless others. Most recently, the US NationalSecurity Administration was exposed for spying on its general population andsharing the information it gathers with the State of Israel. The leadcontracting agencies the NSA partners with in its spying are run by formerpersonnel of the intelligence branch of the Israeli military. IJAN callson the US Attorney Barbara McQuade to drop the charges against and immediatelyrelease Rasmea Yousef Odeh, and the cessation of policies to instill fear inhuman rights activists and workers. Posted September 7th, 2013 by ijan & category Uncategorized. This Yom Kippur, September 14th 2013, (10th of Tishrei 5774) will mark the 69th day of the California prisoner hunger strike. Extraordinarily, prisoners have massively organized throughout the state overcoming every race division, to end the various forms of brutal punishment and profiteering they suffer, beginning with long-term solitary confinement officially recognized internationally as torture. From California to Palestine to Guantanamo, prisoners are resisting the torturous conditions for which they were never sentenced. Yom Kippur is the Day of Atonement just following the Jewish New Year, and is traditionally observed with fast, prayer, reflection and action. It is a day of taking collective responsibility for injustice and committing oneself to repairing the harm in our world. We are Jews who relate to this holiday and this time in the calendar in a variety of ways – through religion and spirituality, through language and culture, through ethical and political histories.